Portland is one of my favorite cities in the United States, especially when it comes to food. It's just one of those cities that I can easily visit over and over again - not because it's the most beautiful city or because it has award winning museums - it's just a place that always feels a little like going home where there's a little bit of everything to enjoy. I'll also list out a few of my other favorite spots just in case you find yourself somewhere else in Oregon and need advice on what to do. This guide is updated often based on my most recent visits. Portland + Luxury are not normally two words you put together; however, with the growing food scene and leading craft breweries, high end options are on the rise! 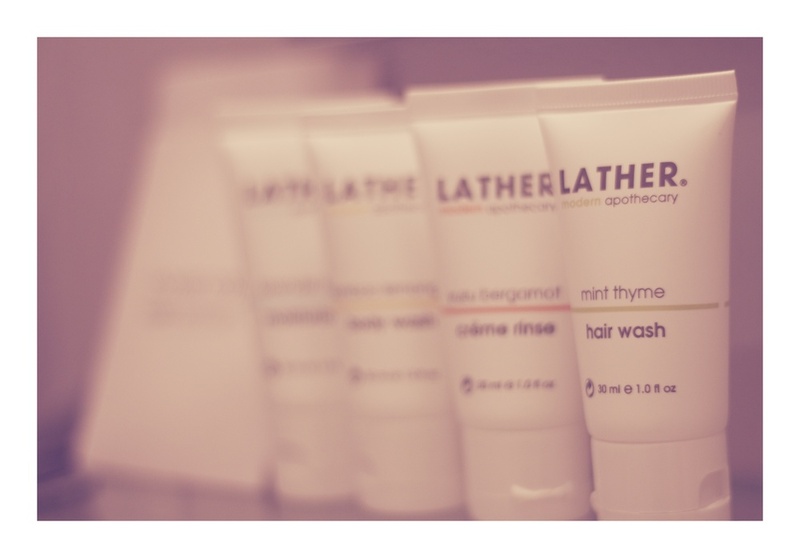 In my travels to PDX (local lingo for Portland), I had the pleasure of staying in two of the city's best boutique hotels. With their prime locations, attention to pretty details and swanky dining options, both The Sentinel and Hotel deLuxe would please any luxury traveler - each receiving an enthusiastic Type A stamp of approval. The Hotel deLux is a boutique, luxury hotel that celebrates the best of old Hollywood with vintage glitz and glamour, transporting you to a different time and place the minute you walk through the Art-Deco doors. Rooms are large and well appointed, service is stellar and the hotel is within easy walking distance to all of the main attractions of downtown. The Hotel deLux is known for putting guests (and their pets!) first, with everything from doggie room service to pillow and playlist menus, all you need to do is ask. 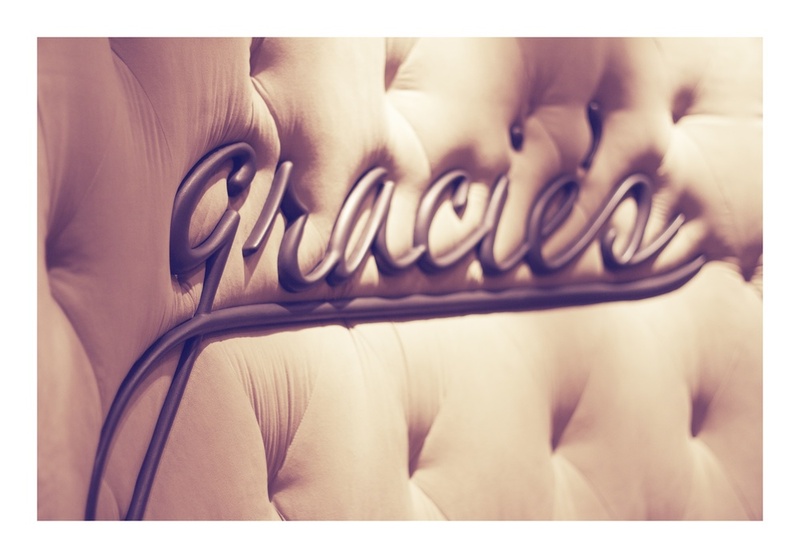 The hotel is also home to Gracie's restaurant and Driftwood Room Bar, best known for their Manhattan menu, so that all you need is under one roof. It's the unique little details and the personal care for the guests that keep me coming back. If I could be a hotel, I'm pretty sure I'd want to be this one. The Sentinel Hotel is the perfect combination of posh and classy, refined in every way without losing its charming personality. This historic building, built in 1909, is in the center of downtown and is the ideal location for exploring, including being directly across the street from some of Portland's most famous food carts. So if you are looking for luxury, love the details, but still want to be in the middle of the action - The Sentinel Hotel is the best hotel in Portland for an urban retreat. Portland is a foodie paradise that won't break the bank but will result in severe cravings once you've left. While there are pricier options around town, my best meals have been in the cheap eats to mid range realm and are the ones that I go back to time and time again when I'm in town. My husband and I aren't coffee drinkers, but we love a good cup of tea. Townshend's has four locations around Portland, embodies a huge selection of teas and kambucha, makes the perfect tea latte and is a great setting for reading a book or playing a board game with some friends. We love it so much that we order our tea directly from them and have it shipped to our home in San Diego. For a unique, artisanal tea experience, check out one of Smith Teamaker's Tasting Rooms. This small and friendly local tea shop is what Portland is all about - bringing makers and patrons together to embrace both production and taste. 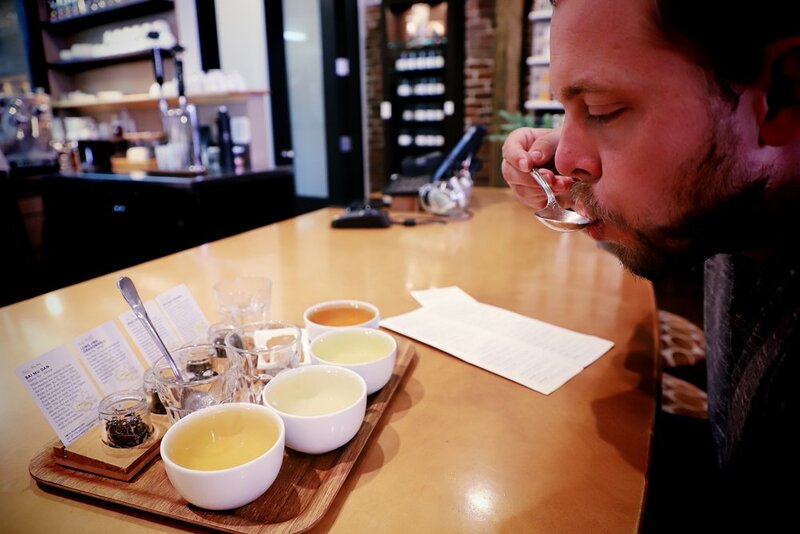 Come in for a flight of teas and listen to the tea experts describe the labor of love that went into creating the perfect balance of flavors in each cup. This really is more than just a place to get a cup of tea, it's an unforgettable experience. In our most recent visit to Portland, we ended up at the NW Thurman Street location (my personal favorite) two days in a row. When you're there, I highly recommend ordering their Caramel Tea Latte (that's totally not what it's called and I'm struggling to remember the exact name)... but it's a black tea that they serve with steamed milk and literal caramel - it's incredibly creamy and delicious. The tea gurus that work here, Donovan and Cameron, are awesome and seriously have the best recommendations for where to eat like a local. Don't miss an opportunity to learn more about the art of tea from these guys and make sure to take some suggestions for where to go for lunch, you won't be disappointed! 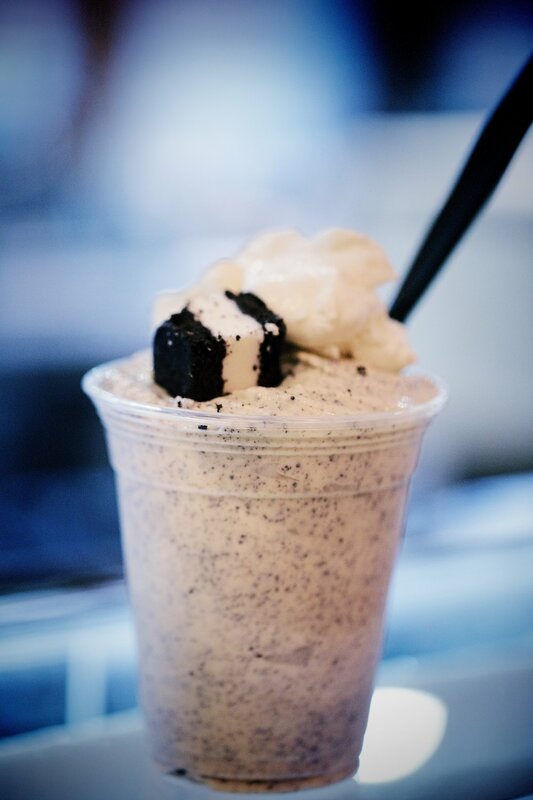 For fresh made ice cream in flavors you've never even dreamed about, you have to come here. Salt & Straw is a Portland staple, made famous for their super creamy scoops in flavors like Honey Lavender and Chocolate Gooey Brownie, while doing their best to keep Portland weird with some of their test kitchen trials like Dill Pickle Sorbet and Pear & Blue Cheese. There's no need to pick just one - order a flight and choose up to six small scoops to savor or share. Yes, I have 2 ice cream shops on my list. 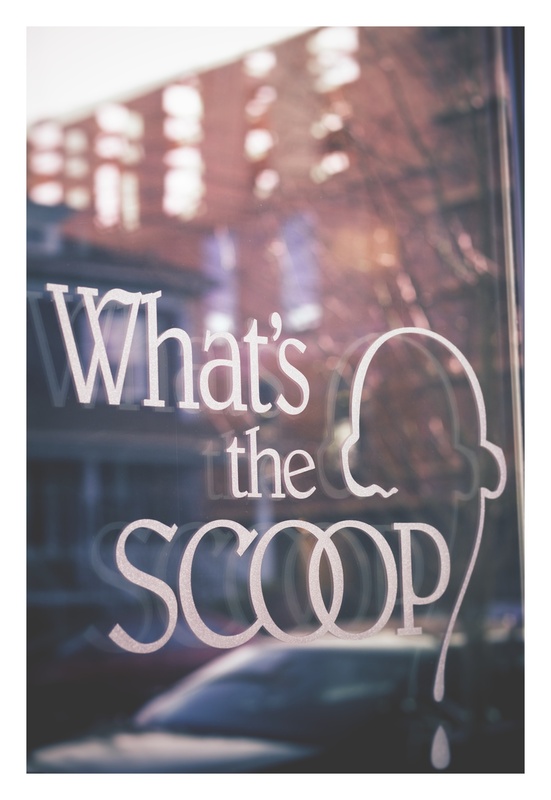 What's the Scoop is another local favorite using only the highest quality ingredients to come up with just as many innovative flavors as Salt & Straw, but that stay on the sweet rather than savory path. Some of my personal favorites include Bourbon Toffee, Brown Butter Almond Brittle and Burt Sugar. Brunch Box is one of Portland's most famous and most delicious food carts, which now has a full restaurant. These gigantic messy breakfast sandwiches and burgers pack the best of greasy food into one, so you are guaranteed to leave full and in need of lots of napkins. I'm a super sucker for a peanut butter and jelly sandwich and PBJs Grilled food pod elevates that craving to the next level. My two favorites are The Oregonian (challah bread with pan seared duck, hazelnut butter, blue cheese and homemade marionberry jam) and The Cream of the Crop (challah bread with peanut butter, cream cheese, bananas and strawberry jam). If your mouth is not salivating right now, you may want to get yourself checked. UPDATE: Please note that they have closed all of their food truck locations as they prepare to open their first restaurant that should be opening in Spring of 2018. Unfortunately I missed out on having one of their heavenly sandwiches during our last visit, but I'll be back! 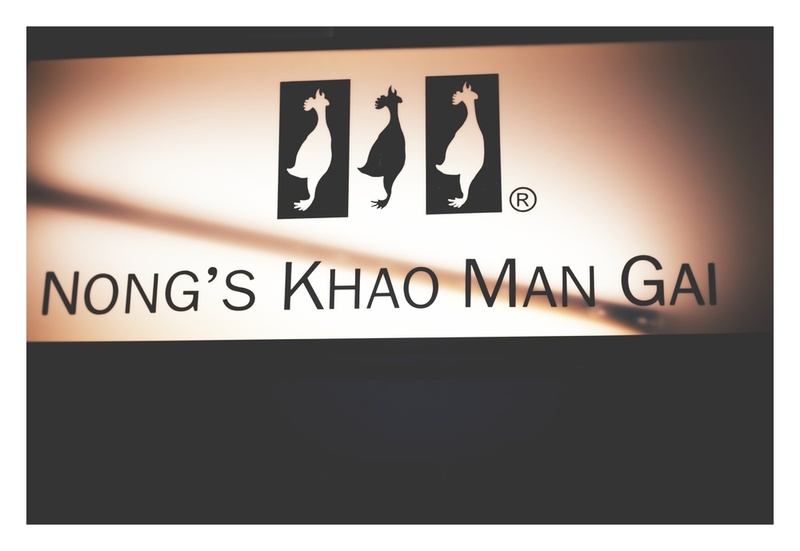 Nong's Khao Man Gai (Nong's for short) started out as a small food pod by a woman from Thailand and has taken the food scene by storm. During our first trip to Portland my husband asked if we could go here and to be quite honest, I wasn't excited about it... but being a good wife (occasionally I am) I obliged... and to my complete shock I was hooked after one bite. And when I say hooked, I mean, I've come for a weekend just to get my hands on some of their chicken and rice and will order it twice in one day - once for lunch and again as a late night snack. So I'm not kidding when I tell you I'm 1000% addicted to this stuff and you will be too. I prefer going to the restaurant rather than the carts, simply because it's the only place that serves the chicken and rice with homemade peanut sauce in addition to the coconut milk and lemongrass soft serve, otherwise you can get the traditional chicken and rice (my husband's order of choice) at any of their locations. For a spot that pretty much only has one thing on the menu, they do it to perfection, keeping me crawling back for more every single time. UPDATE: 2 new items you must try - their bag of fried chicken skins (but they run out fast so get there early!) and their Thai Tea Float with coconut ice cream. As if this place couldn't get any better, they go and add these to the menu (drool). Tasty n Sons and Tasty n Alder (pick whatever one is closest to your location) are the best breakfast/brunch spots in Portland. You'll know by the long line that starts forming at the door before the place even opens that you've arrived at the right spot. This is our go to brunch joint and have never been to Portland without making a stop at one of the Tasty restaurants. Brunch is served daily from 9-2:30, but you'll want to get here early if you want a spot as they fill up quick, especially on weekends (no, you can't make reservations). The menu is packed with inventive dishes, like Lemon Ricotta Pancakes and The Whole Toad which is soft baked egg bread pudding and then their's their famous Chocolate Potato Donuts. 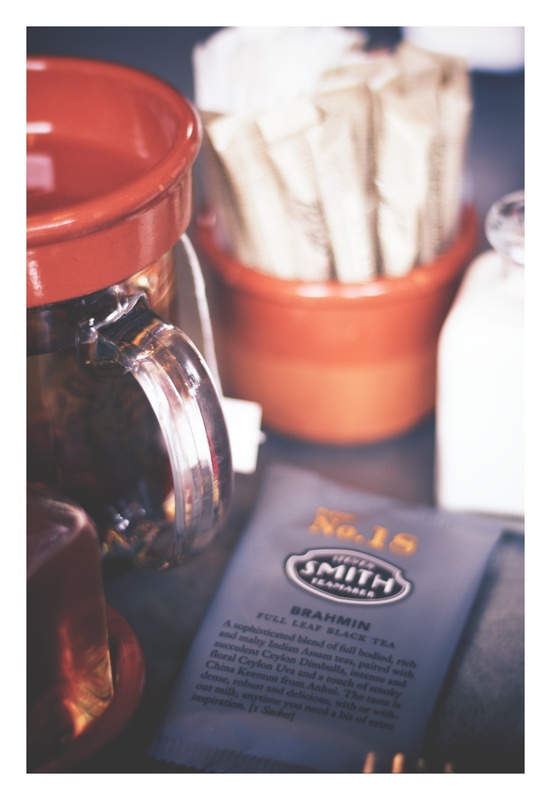 Both locations vary in their menu slightly, but you can't go wrong with either one. 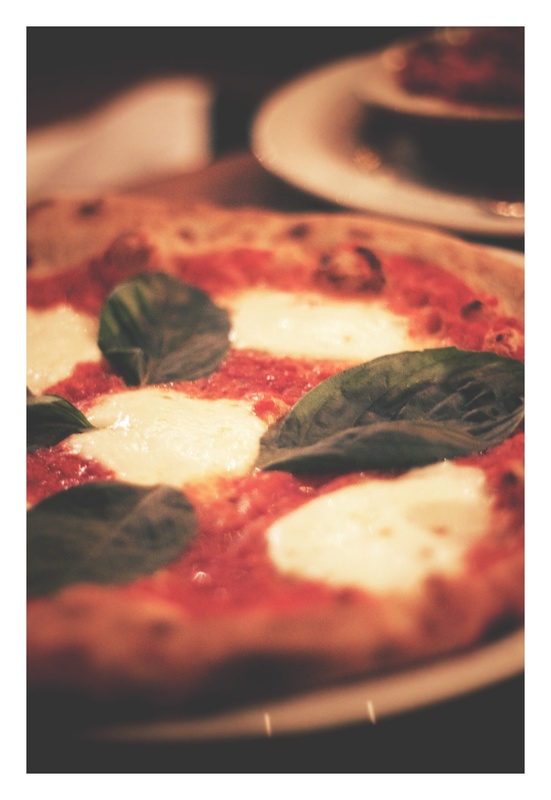 I absolutely love Nostrana, it's hands down the best Italian restaurant in Portland. Head Chef Cathy Whims is a 6 time James Beard nominated chef and is the only Italian restaurant I love that isn't located in Italy (yeah, I'm picky), but that's not even the best part... While the dinner menu is fabulous, it's the late night happy hour menu that really excites me. Starting at 9pm nightly, the happy hour menu of about a dozen dishes from pasta to pizza and salad in addition to a short list of wines and cocktails is available all for $5-10 each - and the food is mind blowingly good; every bite as high of quality as what's on the dinner menu. You'll absolutely want to make reservations for dinner or happy hour - there's literally a line out the door up until they close the doors at 11pm every night, it's that good. Pine Street Market is Portland's first public indoor food hall. This is the place to try some of the city's best restaurants and what they are creating on a casual, experimental, quick and easy level. 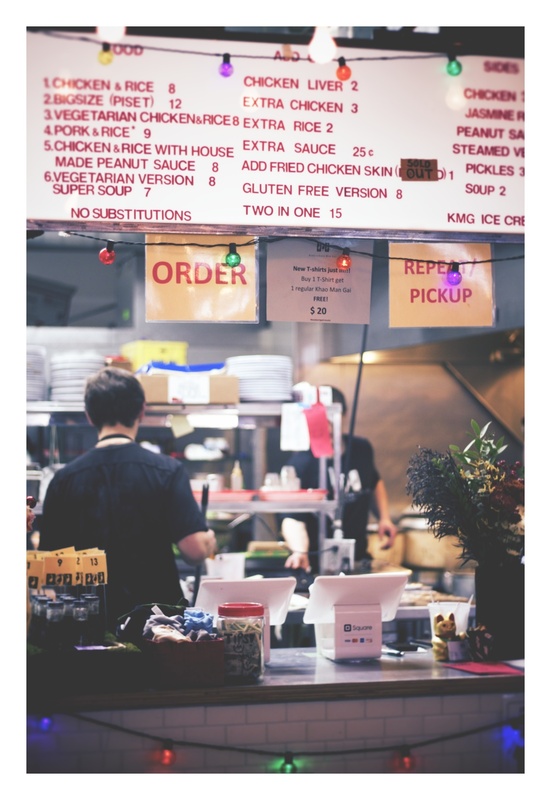 While you may not recognize the names of the stalls at first, when you look below the signs, you'll see they are extensions of some of the best rated foodie finds in Portland. You can get everything from ramen to hot dogs to craft beer and ice cream by Salt n Straw, all in one dining hall. We ended up ordering one or two different dishes from each spot and stuffing our faces over a smorgasbord of flavors. Pine State Biscuits is a Portland favorite and has been on nearly every Portland restaurant list for the last decade so we knew we had to check out one of their locations. This is a good spot for a fast and filling breakfast - massive flaky biscuits, smothered in gravy or biscuit sandwiches packed with everything from fried chicken to pulled pork and an egg. We also had to try their pecan pie that is made daily in-house. Overall, I completely see why so many people love this spot, but it's a bit heavy for me personally. Need to get out of the city without having to go too far? Check out Forest Park for some gorgeous hiking trails and walks along the trees to be transported to an entirely new world where lush greenery surrounds you and finally understand the point of all the rain. Forest Park is only about 10 minutes from downtown Portland and an easy Uber ride away. You will need decent walking shoes, especially because the trails can be wet and slippery at an incline. I've always wanted to experience a true farm to table dinner and I finally got to live this dream at Our Table Cooperative's, Our Table in the Field dinner event. Just 30 minutes outside of Portland in the Willamette Valley, Our Table Cooperative is a working farm that hosts beautiful Saturday night dinners with guest chefs who cook out on an open flame and serve a family style meal that highlights some of Oregon's best ingredients. The night begins with champagne and appetizers as guests mingle and watch as the chefs work their magic over the open fire. During this time, guests are also invited to take a guided tour of the farm, where the owner tells his unique story about starting the farm (long story short - him and his wife went from regular family life to organic farm owners after discovering all of the negative impacts and scary truth behind the food we commonly eat) and guides everyone through the different areas of the property. Following the tour, guests are invited to take their assigned seats at the long, group tables set amidst the fields. From that point, brightly colored shared plates are served and an abundance of local wines are poured and cheerfully everyone raises their glasses to sensational evening ahead. My husband and I sat amongst the wine makers and many returning guests. Most everyone we met were locals who were celebrating a special occasion or are frequent diners who come whenever the farm holds an event. The food is fresh, bursting with flavor and beautifully displays the rich ingredients that are produced by the efforts of Our Table Cooperative. We had the most incredible time meeting new people and experiencing the best that Oregon has to offer and look forward to returning the next time we are in town. Tickets to Our Table Cooperative's Our Table in the Field dinners are roughly $95 per person, inclusive of all food and beverages. I recommend booking well in advance and there are limited events and they do sell out quickly. If you're looking to get out of the city, you've got to check out Oregon's rich wine region. The Willamette Valley is a huge area, but you don't actually have to go all that far to reach some of the best wineries of the region. One of our favorite spots is only about 30 minutes from Portland in the Chehalem Mountains called J.K. Carriere Winery. The winery is on an incredible property where the vines are surrounded by forest trees, and is an ideal and welcoming spot to sip away an afternoon in the crisp, cool air of the Pacific Northwest. They specialize in a variety of high acid Pinot Noirs that are best described by owner Jim Prosser and assistant wine maker, Chris Burrough. Their passion for wine and engaging (and hilarious) stories for what brought them to humbly making beautiful wines in Oregon is the real charm that fills this place. Amidst such a stunning setting, drinking great wines with great people is what J.K. Carriere is all about and is a place we will continue to visit for years to come. Portland is home to a handful of historic movie theaters, dating back to the golden age of Hollywood films and serve as some of Portland's greatest time capsules. Click here for a list of a few of the best ones; each theater having its own history and amenities. Be sure to catch a film while you're in town and be taken back in time, even if it's just for a few hours. No visit to Portland is complete without a stop in Powell's Books. It really is the largest bookstore in the world, with everything from used classics to new best sellers. You quite literally get lost in the maze of floors and shelves of literature, so set aside a good amount of time for exploring. There are 4 locations around the city, but the flagship location that has over 1 million books is located on Burnside. I stop in The Meadow at least once whenever I'm in Portland. I'm super into cooking salts and buy them wherever we go and the meadow has a huge wall of local and international salts, along with other local, artisanal products like chocolates and other candies. 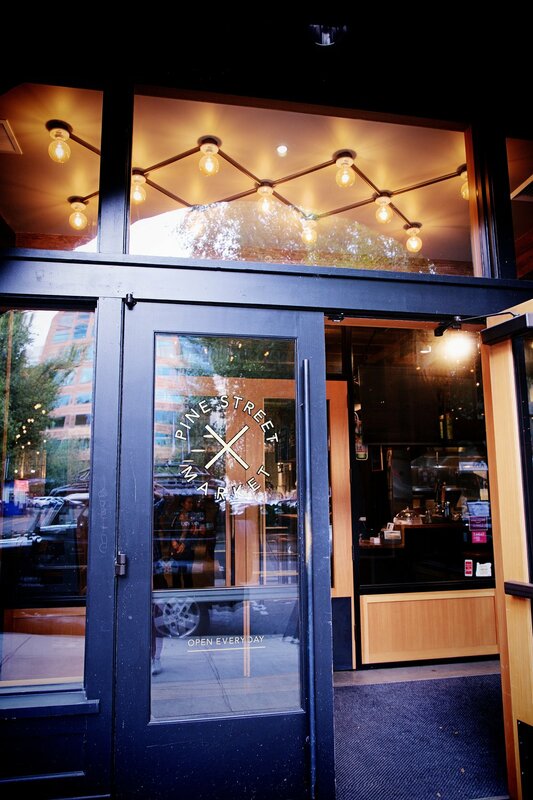 There are two locations around Portland and is definitely worth a quick peek inside. 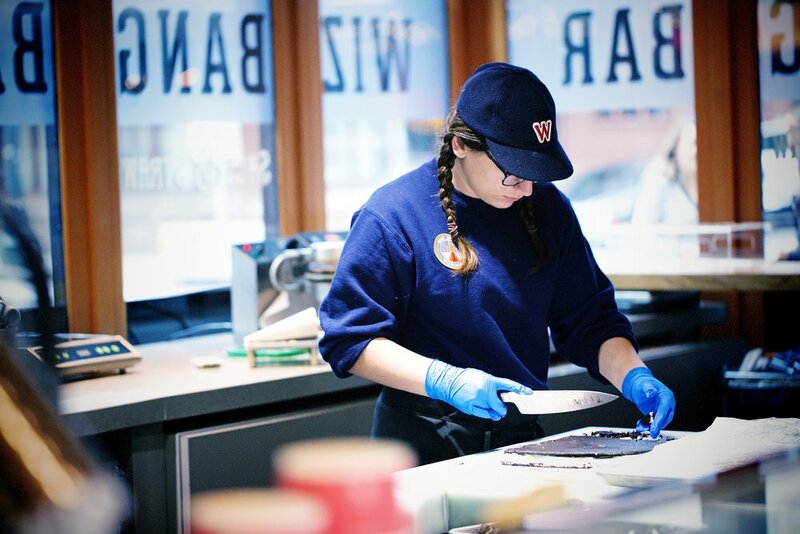 One of our favorite memories from our times in Portland is from the pie making class we took at Pacific Pie Company. Co-Owner of the restaurant, Sarah, welcomes a small group of guests to be pie makers for an evening, inviting the class into the kitchen to learn all about the techniques of creating the perfect pie. We were taught how to make apple pies and at the end of the night had a beautiful hot pie to take home as well as enough dough for the next one. With classes limited to 6 people and only a handful of classes offered each month, spots fill up fast so be sure to book well ahead of time. Portland is home to one of the nation's best and largest craft beer and alcohol scenes. My husband and I aren't huge drinkers, but even we couldn't resist visiting some of the best spots in town. If you're a fan of sours, Cascade Brewing Company has become one of the leading names in sour brews and with an endless amount of options like strawberry and honey ginger, a flight is sure to make any beer lover happy. You'll also want to visit Distillery Row, where you'll find an array of locally distilled spirits, including everything from bourbon to vodka. House Spirits & Distillery and New Deal Distillery are two of our favorites and are awesome spots to grab some non-touristy gifts to bring home to friends and family. Tours are available too and most distilleries are open for walk in tastings for a very small fee. If you're looking to pass a few hours while in downtown Portland, stop by the Lan Su Chinese Garden. This unexpected oasis is a nice reprieve from the business of the city, especially while you sit in the traditional tea house listening to the trickle of the stream from the open windows. It's a bit pricey for a quick walk through, but if you enjoy simple, natural beauty this is probably worth a visit during your visit to Portland. During our first ever visit to Oregon in 2013, we did a road trip all around the state. We drove up from San Diego, first stopping in Eugene, heading to the coast and staying in Lincoln City, then Portland and finishing in Bend. It was such a magical trip and one that I think about often... and unfortunately all of my photos from that trip were accidentally deleted, so memories are about all I have left to show for it. Here's a few recommendations if you find yourself outside of the Portland area. Eugene is home of the Oregon Ducks and known for being a hippie, free spirited kind of place. There are two spots that I suggest visiting that happen to be right near one another. For a perfectly buttery croissant or a slice of heavenly pie, check out Sweet Life Pattisserie for all of your dessert cravings. Then for dinner, you have to go to Mame, a tiny sushi restaurant in the very unlikely city of Eugene, Oregon. It's one of those local secrets (that I was told about by my friend Alissa who happens to be a local) and kind of feel bad about even listing... it's so secret the owner refuses to do interviews, there's no sign outside and the restaurant doesn't even have a website! But alas, it's my job and you deserve to know you are missing out on one of the best sushi restaurants on the west coast that just happens to randomly be in the middle of Oregon. Taro Kobayashi is the owner and head chef of Mame. The restaurant only has 4 tables and about 6 seats at the bar where you can sit and interact with the chef as he makes the food. Instead of ordering from a menu, most people just do the "chef's choice" where you tell the chef how much you want to spend and he creates a personalized sushi sampling. Not only did his food blow my mind, his personal story of transformation, which led him to becoming a chef was inspiring. The best single bite of food I've ever put in my mouth continues to be from Mame, a single serving of raw scallop with creamy risotto on top and you better believe I make trips back to Eugene just to have it. If you find yourself on Oregon's northern coast, don't miss the Tillamook Cheese Factory. This may sound like a cheesy recommendation, but it actually has a really fun museum feel that gets even better because you get to try the cheeses as you go! In addition, they have a full ice cream parlor inside that you just shouldn't miss. Bend is a special place, practically in the dead center of Oregon, but with a completely different feel than Portland. Bend actually has a much drier, warmer climate being on the eastern side and is an oasis for outdoor enthusiasts. It's where you want to go to relax, fish and hike along the Deschutes River - leaving city life behind. We rented a little house right along the river where we could literally fish and kayak from the back-yard and walk into downtown for tea and dinner. This is one place you can completely relax.